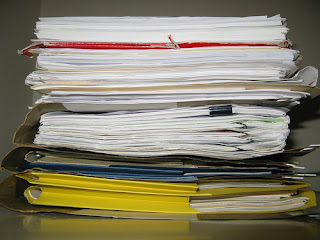 With an aim to encourage tax professionals to file their clients' returns electronically, and to ease up on the workload at processing centers during peak tax season, the IRS Taxpayer Assistance Centers will restrict themselves to processing a few returns, but no the dropped off returns in bulk. The intent of this policy change is not to limit assistance to taxpayers or their authorized representatives. Nor is it intended to limit taxpayer representatives’ visits to support their clients, particularly in situations where the taxpayer is facing financial harm or undue hardship, such as delinquent returns or to start or stop an installment agreement. It is designed, primarily, to stop the practice of dropping off returns solely for processing and mailing when the returns can be mailed directly to the IRS processing center. The TACs will accept returns with imminent statute implications, with remittances or other situations where it's in the best interest of the taxpayer and the Service to accept them. The IRS encourages all tax preparers to take advantage of available e-file options to file returns electronically to avoid the need to have returns accepted and mailed at the local Taxpayer Assistance Center.